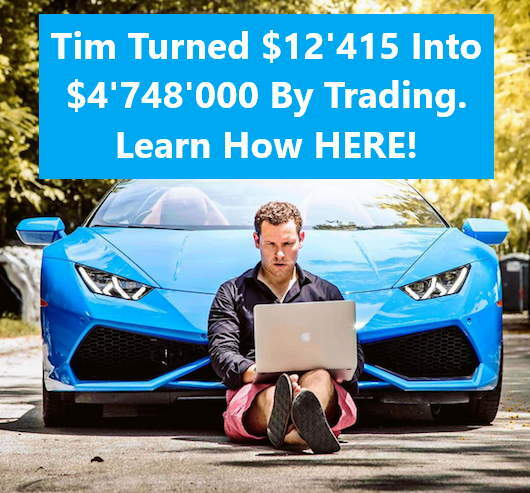 Live trade examples are one of the best ways to learn how to trade. They really allow you to see the trading process of someone else. In this article, I will walk you through a short iron condor trade that I did recently. I hope this will give you some insight into what a good iron condor trade setup might look like. Furthermore, it is important to understand that this is a trade that I like. That does not necessarily mean that this is a trade that is good for you and your preferences. 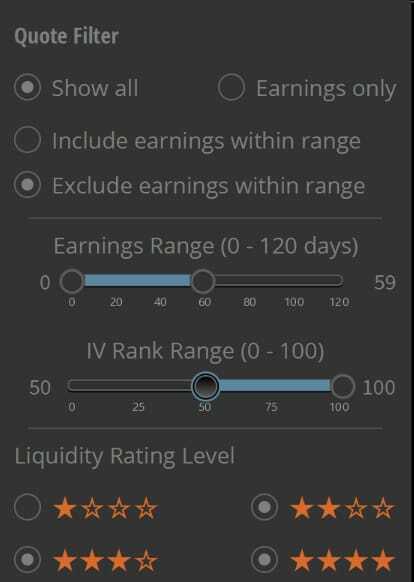 To find assets that meet all of the just mentioned requirements, I simply went to the watchlist tab inside of the broker platform tastyworks and applied the filter that excluded stocks with upcoming earnings and the assets that had an IV Rank of under 50. By doing this, I had a list of tickers that all were potential candidates for my trade. But as generally implied volatility was relatively low during that time, this list wasn’t very long. After a peek at the options and the chart, I filtered out most of the tickers on the list quite fast and ended up with EWZ. EWZ had an IV Rank of about 75 which is relatively high. After choosing EWZ (iShares MSCI Brazil ETF) as an underlying asset, it was time to find the best setup for my short iron condor. I had to choose an expiration date, the strike price for the four legs, an order price, and a trade plan. Let’s start with the expiration date. For short iron condors, I usually go for 40-50 days until expiration. The October 19 expiration date had 49 days left until expiration, so that is why I chose that expiration date. As you can see, the final iron condor was very delta-neutral, had a good probability of profit, an even better probability of reaching 50% of max profit and generated over $1 in time decay every day. In my opinion, that is a very good position, especially considering the size of this account. My goal was to close this position at 50-60% of max profit which would be $40-$50. That is why I put on a GTC (Good-Til-Cancel) order at my profit target right after the iron condor was filled. The entry and exit are marked with circles. The two black lines at 27.38 and 36.71 are the approximate breakeven-points. As you can see, EWZ’s price got nowhere even close to the breakeven-points during the lifetime of this trade. It simply consolidated and chopped around a little (which can be expected after its prior bearish price action). This means that during the choppy price action, my iron condor profited nicely from the time decay and the decreasing implied volatility. Now I want to walk you through my thought process when taking off this position which was 24 days after I put it on. You might think that this likely wasn’t very special as my GTC order simply got filled. But that’s actually not how I closed this trade. As you hopefully can see, I put on the trade for a credit of $0.81 and closed it for a debit of $0.46. This means that the profit on this trade was not about $50 (which was my profit target). Instead, it was only $35. So why did I take it off early? There actually was no strategic or intelligent reason for me to take off this trade early. In fact, if I simply would have waited half a day longer, I would’ve been able to close the iron condor for my profit target (or even more). But the problem was that I got impatient. Closing this trade early was purely an emotional decision. Some of the trades that I made prior to this iron condor turned around from winning to losing positions. Therefore, I wanted to prevent this by taking profits early on this trade. But as this wasn’t part of my trading plan when entering, it was an emotional decision that should have been avoided. In other words, I don’t recommend consistently taking profits too early as the decreased profits potentially won’t make up for future losing trades. You might think that a difference of $15 between my profit target and where I closed the position isn’t that significant. In absolute terms that is true. However, in a bigger account, these $15 might be $150, $1500 or even $15000. Always make sure to think in relative terms instead of in absolute terms. Now let’s discuss the end result of this trade. I already mentioned that the profit (before commissions) was $35. But there are other aspects besides the dollar profit that also should be considered when analyzing a trade’s outcome. Once again, the dollar amount is everything else than impressive. $30 is definitely not a life-changing amount of money. However, it is the percentage gain that I want you to pay attention to. The percentage gain (before commissions) was 43%. In my opinion, that is a very good percentage gain on one trade. I know that after commissions this gain is lower. However, that is because this position was very small. The commissions won’t have a near as dramatic impact on percentage gains for bigger positions. But obviously, you should never risk too much of your account capital on one position! I can’t recommend risking more than 5% (to max 10%) on any single trade. Now let us move on to some of the lessons that you and I can learn from my trade. In my opinion, analyzing and reflecting on your trades is one of the most important parts of trading. So make sure to always find something to learn from your trades that can help you improve your future performance. 1. Be patient and avoid emotions! One lesson that I learned from this trade is the importance of being patient in the right moments. Furthermore, this trade is a perfect example of how emotions can mess up your trading decisions and thereby your trading results. If I would have waited a few hours longer with my exit, my profit target would have been reached. But instead of waiting, I manually adjusted my GTC order to exit the position early. Sometimes, especially on mid- to long-term trades, it can help to step away from your computer. Instead of watching every tick and its impact on your P&L, just go and do something else. If you have a clear plan that tells you to wait, there is no point in watching every move. It will just lead to impatience and emotional decision making. 2. Stick to your plan! This brings us to lesson number two: Don’t change your plan. A trading plan should always be made before opening a position because as soon as you put on the trade, you won’t be able to think completely rationally anymore. So if you have a concrete trading plan, do not change it! Always remember your initial plan and the reasoning behind it. 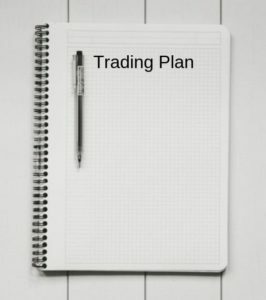 One tip that I have here is to actually write down your trading plan before opening a position. This will help you visualize how your trade could look which betters your understanding of the trade. Furthermore, it helps with dealing with emotions while trading. I especially recommend doing this for mid- to longer-term trades. It is very easy to forget your initial plan after a few days or weeks and as soon as you forget your plan, it is very easy to make uneducated emotional decisions. The more specific a trading plan is, the better. A very vague trading plan will allow you to make emotional decisions because it isn’t clearly stated what you should do and when you should do it. 3. Don’t let the outcome of your last trade significantly impact your approach to the next trade! The next advice is not letting recent trades significantly affect your trading process. Of course, you should always learn from your trades and try to use them as improvement advice. However, you shouldn’t dramatically change your entire approach due to a handful of losing trades. Sadly, that is what I did. Instead of sticking to my usual 50%+ profit target for short iron condors, I took profits early because I let the result of some recent trades impact my decision making on this trade. 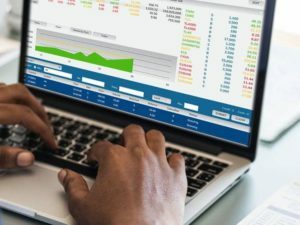 Bigger changes to your overall trading strategy should always be based on actual data and analysis. The data should be collected from a big enough sample size and certainly not from a handful of trades. 4. You can do this, regardless of your account size! The final lesson that I can think of is that this trade shows that you can do this no matter how big or small your account is. The trade outlined in this article could have been done in almost ANY account! The total, worst case scenario risk was slightly over $100. If your account can’t tolerate $100 of risk, you might want to consider to save up a little more. If you have a bigger account, you could easily increase the potential profit (and risk) by increasing the width of the strikes, turning the iron condor into a strangle, finding a higher priced asset to make a similar trade on or by increasing the number of contracts (I recommend doing one the first three over increasing the number of strikes though). Do you have any other lessons that you learned from my trade? If so, I would love to hear them in the comment section below! I really hope this iron condor example trade walkthrough could give you some insights into my trading process. If you enjoyed the article and want me to continue to put out more trade examples, let me know in the comment section below. My goal with these articles isn’t necessarily for you to copy my process. Instead, I want to inspire you to develop your own trading process and I want you to understand the importance of having a trading process. Trading is not only about putting on and taking off trades. Trading is about having an own approach to the markets and learning from your mistakes. In other words, make sure to do the same as I did here with this article. Always reflect on your trades. Always find aspects to improve upon and lessons that can be learned. Obviously, you don’t have to write an entire 2000+ words in-depth article about every trade. But you should at least write down all the main stats of each trade, some lessons that you learned from it and analyze your trading results regularly. I do this for every trade by entering my trades into my Excel trading journal. I simply have to copy some of the stats from my broker platform, write down a few lessons and everything else is done automatically. After entering some data, my Excel spreadsheet automatically analyzes every aspect of my trading and displays it in an easy to understand manner so that I can become a better trader. If you want to, you can grab a copy of my Excel Trading Journal Template on THIS page. The commission here are not huge but the lesson are good, with better determination and setting up goals that best suit, thanks for working me through this trading. Making determination in trading is the best which i have learn here, i have been able to learn patient is one of the key to better profit and sticking to plan, i have learn to always use a better resources and better planning strategy for my trading. Thanks for the input Harry. The 0.12 Delta does not mean that I have an 88% probability of winning. The POP when entering on this trade was 58%. I agree that I didn’t collect a whole lot of credit on this trade. However, if I wanted to collect more credit, it would lead to a higher max risk and my goal with this iron condor example trade was to show that you can trade this strategy even in a very small account with very limited risk. I really enjoyed your trading example. It was very helpful. I’m not using your excel spreadsheet like I should be. I have to work on that. Please continue to post your thinking process when you trade. It really helps. It appears to me, in order to understand trading, I should start from the root. You sounds so knowledgeable on this subject. I don’t think I’ve ever read or heard some of those trading terms before. You gave me a lot of insight on the subject. Maybe it’s not as easy as some others would like you to believe. I appreciate the walk through. Great subject for people like me who want to know a little more about trading.